The date of the first Practical Nurse graduation was on March 26, 1968. Many of these students began at the original Brockton campus and transferred to the Southeastern campus when it opened in September of 1967. 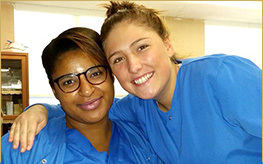 The Dental Assisting and Medical Assisting Programs had their first graduation on June 16, 1968, and the HVAC Program had its first on June 11, 1997. Southeastern Technical Institute is accredited by the Commission of the Council on Occupational Education.